The Answer Key of Jharkhand Engineering Entrance Competitive Examination 2019 will be available online at the official website. The PDF versions of JEECE 2019 Question Paper and Answer Key will be publish on official website. Answer key links will be provided on this page for each respective set. When you click on a link it will open a PDF file that contains question paper followed by answer key. Basically, answer key will be in a table format with question number and answer key (answer option which is the correct answer). After publication of answer key, JEECE 2019 Result will be declared. Candidates can get the information regarding JEECE 2019 Answer Key from below. JEECEE 2019 answer key will be publish on the official website. Question paper will contain questions of Physics, Chemistry, Mathematics. 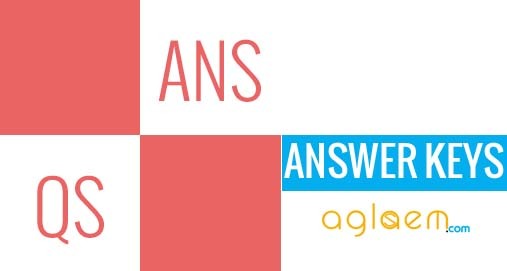 The purpose of publishing answer key of JEECE 2019 is to communicate correct answers to candidates. Answer Key: Answer key will be publish on the official website www.jceceb.jharkhand.gov.in. 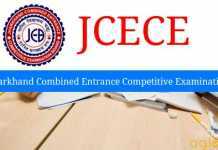 JEECE is the Jharkhand Engineering Entrance Competitive Examination. It will be 3 hour duration exam. It is an entrance exam for admission to BE/B.Tech. Questions were asked from class 11 and class 12 topics, all from syllabus of JCECE 2019. On the basis of official JEECE 2019 answer key, the board will evaluate answer sheets and award marks to each candidate. Candidates will get 1 mark for right answer and ¼ mark is deducted as negative marking for incorrect answer. In this way, total marks will be calculated. 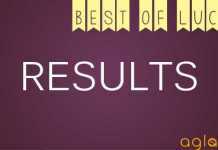 Marks obtained in JEECE 2019 will determine merit for BE/B.Tech admission in Jharkhand. In JEECE 2019, candidates will have marked answers in OMR sheets. Jharkhand Combined Entrance Competitive Examination Board (JCECEB) will check answer sheets with extreme care. They are machine gradable sheets and are evaluated as such. Hence, there will be no provision to request for re-checking or re-valuation of answer sheets. Click Here to check the JEECE 2018 Revised Answer Key. Click Here to check the JEECE 2018 Answer Key of Set A.
Click Here to check the JEECE 2018 Answer Key of Set B.
Click Here to check the JEECE 2018 Answer Key of Set C.
Click Here to check the JEECE 2018 Answer Key of Set D.